Governor of Central Bank of Iran (CBI) Valiollah Seif slammed Washington for its failure to completely fulfill its obligations under the nuclear deal between Tehran and world powers, also known as the Joint Comprehensive Plan of Action (JCPOA). 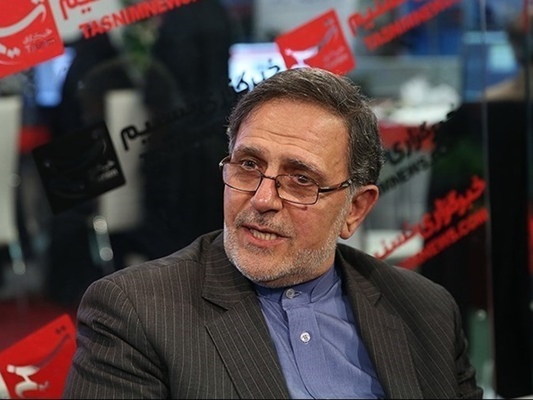 Speaking to the Tasnim News Agency, Seif pointed to the banking problems hampering Iran’s foreign trade, saying the establishment of banking ties with other countries is developing at a slow pace, adding that the obligations of other parties to the JCPOA should be fulfilled more quickly. The Iranian official further emphasized that the slow pace has its roots in the non-commitment of the US to the JCPOA. “Most of the undertakings (of other parties to the nuclear deal) should be implemented by the American side and it is expected that the transactions increase in speed day by day,” he noted. While the JCPOA, a 159-page nuclear agreement between Iran and the Group 5+1 (Russia, China, the US, Britain, France and Germany) came into force in January 2016, some Iranian officials complain about the US failure to fully implement the accord. Earlier in March, Leader of the Islamic Revolution Ayatollah Seyed Ali Khamenei said Americans have yet to fulfill what they were supposed to do as per the nuclear deal. Iran still has problems in its banking transactions or in restoring its frozen assets, because Western countries and those involved in such processes are afraid of Americans, the Leader said at the time, criticizing the US for its moves to prevent Iran from taking advantage of the sanctions removal.